℗&© 2000 Mute Records Ltd. Written, produced, recorded, mixed and arranged at Space Station, UK. A engineering and additional editing at Space Station. B remix at Space Station. Catalog number appears as "L12NOMU75" on the release. 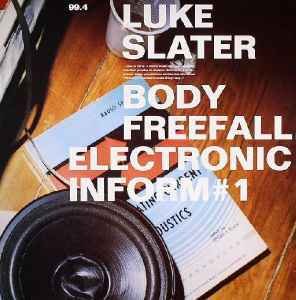 Luke Slater 's charging techno track "Body Freefall" incorporates all the genius of Slater's sound. Full, driving beats propelled by commanding basslines rock side A of this release, while side B hits hard with a techy-break style.